I’d love to see you knit a Shades of Purple shawl choosing your own favourite colours… so this is part I of the pattern. 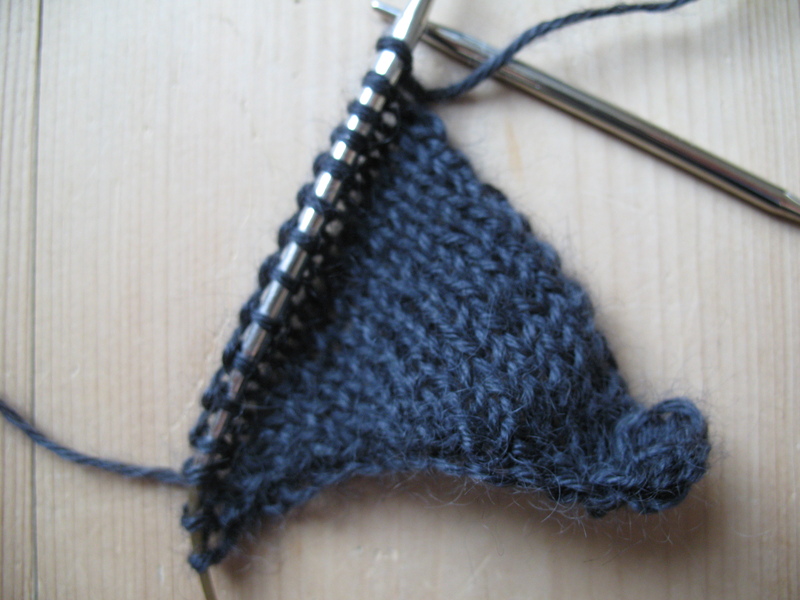 Start by knitting a triangle using just one colour. Cast on 15 stitches. I use this cast-on method. 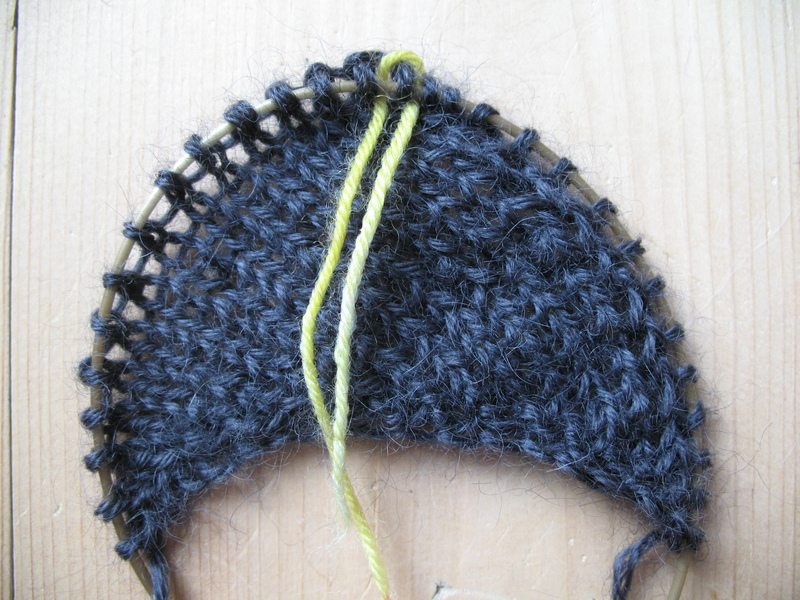 Now the first triangle (top back of the shawl) is finished and you’re almost ready to begin shadow knitting. 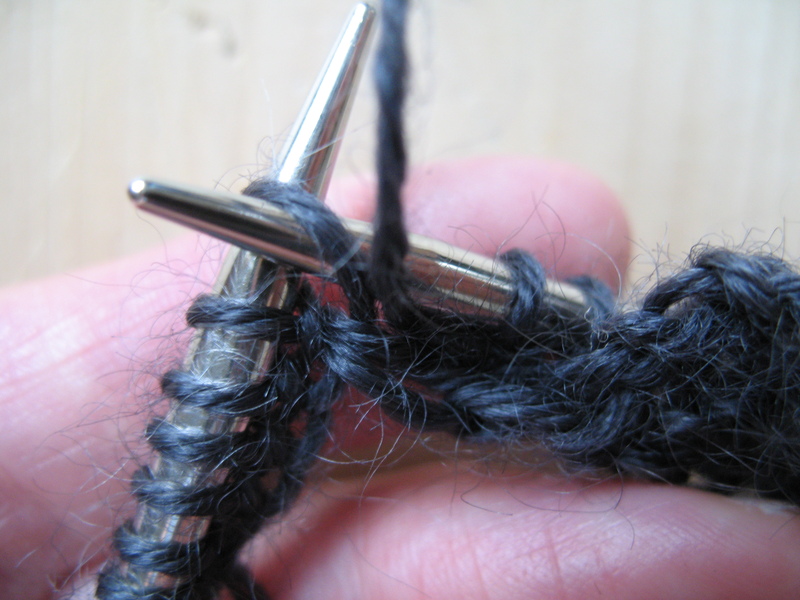 Place a marker thread around the last stitch an then pick up and purl 14 stitches along the opposite side of the triangle. Ready for Part II where we start shadow knitting? This entry was posted in Free patterns and tagged Chocolate Pudding, craft, handknitted, homemade, knitting, Pattern, Ravelry, Shades of Purple, shawl, wensleydale. Bookmark the permalink. I stumbled across your site from linkslinkslinks.com and I am so glad that I did! 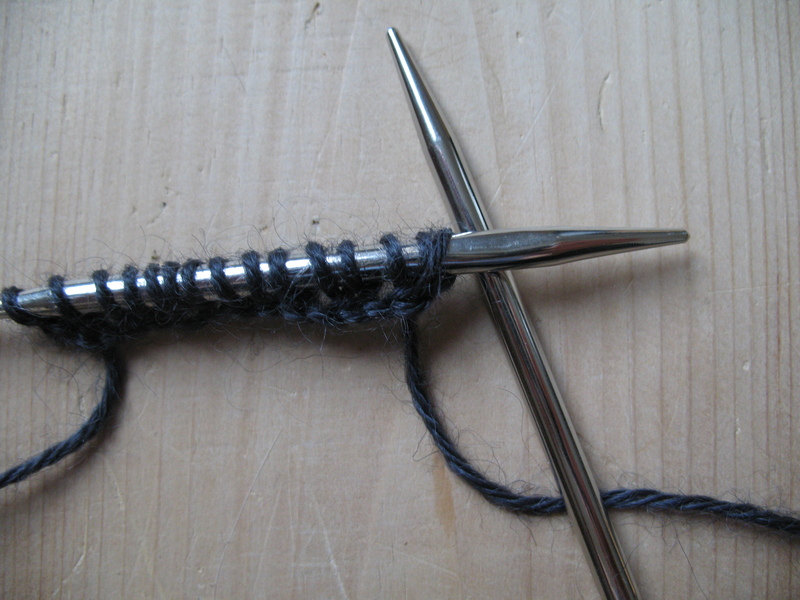 I have been knitting for over 50 years and because of your site I am going to learn something new! I love it!